Charlie Parks is the Summit League correspondent for RTC. You can follow him on Twitter @CharlieParksRTC. One Big Year: This was an unforgettable season for the fans that follow the Summit League. Reggie Hamilton leads the nation in scoring; Alex Young is the NCAA active scoring leader and is looking to move on the NBA; Dominique Morrison led Oral Roberts to a school-best 26-5 record to go along with a crisp 38 RPI to get at-large talk going, and Nate Wolters and company are a serious dark horse contender for an NCAA tournament run with a 24-7 record. The Summit League is making a move into the best-mid-major-conference-talks, something that was unthinkable two years ago. 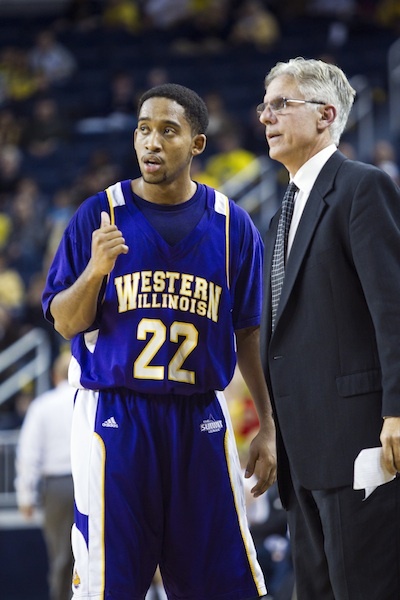 Coach of the Year – Jim Molinari, Western Illinois: With all due respect to Scott Sutton and the amazing job he did this year, I have to go with Jim Molinari from Western Illinois. A year ago, Western Illinois was 7-23 with a 2-16 conference record after finishing the year with 13 straight losses. Molinari has turned things around and has the Leathernecks playing defensive-minded basketball. The Leathernecks offense is more efficient, and the addition of freshman Obi Emegano has helped Western Illinois capture the five-seed in the Summit League tournament. Player of the Year – Dominique Morrison, Oral Roberts: My pick for Player of the Year was really a no-brainer. Dominique Morrison was not only the best player in the conference, but one of the best in the nation over the course of the entire season. His 20.3 points per game becomes even more impressive by the fact that he shot 49 percent from the field and 45 percent from beyond the arc. On top of all that, he was clutch. Say what you want about the term “clutch”, but when a bucket needed to be made or when the game was on the line, he found a way. He was the total package this year. Morrison is going to be one of those guys Scott Sutton and the ORU fans will never forget. Forward: Dominique Morrison, Oral Roberts: He will finish his career, along with everyone else on this All-Conference Team, in the top ten in scoring with well over 2,000 points. Forward: Alex Young, IUPUI (20.9 PPG, 5.9 RPG): Young will leave IUPUI as the highest scorer in school history, and the fifth-leading scorer in conference history. He’s a first-round NBA draft pick if I ever saw one. Guard: Nate Wolters, South Dakota State (21.2 PPG, 5.0 RPG, 6.1 APG): The man can flat out play, and he is going to be Summit League Player of the Year next year. The question is, will he be looking to lead South Dakota State to their first ever conference title or a repeat? Guard: Reggie Hamilton, Oakland (25.5 PPG, 5.1 APG): In case you thought this guy was a ball hog, just take a peek at those assist numbers. Put Hamilton on the list of current Summit League players that deserve a shot in the NBA. He’s quick, can run the point, and has deep three point range. Oh, and I forgot to mention he leads the nation in scoring. Center: Jordan Dykstra, South Dakota State (11.6 PPG, 5.1 RPG) I have to give a shout-out to the big men, and he is the best one in the conference. Just a sophomore, Dykstra is going to be a dominant force in the years to come. Charlie Parks is the RTC correspondent for The Summit League. You can also find his musings online on Twitter @CharlieParksRTC. How Far Can Oral Roberts Go? : In their final season as a member of the Summit League, the Golden Eagles are enjoying one of their best runs in the past 30 years. The Golden Eagles are on a seven-game winning streak that started with the trashing of Xavier. They have dismantled the Summit League on their way to a top-50 RPI, and depending on how they fare in the ESPN BracketBuster, could even position them for the unthinkable—an at-large bid. Don’t laugh, Oral Roberts could potentially be a 25+ win team with another top-50 RPI win (depending on the BracketBuster), hell, why not shoot for a an 11-seed? ORU’s play has gotten national attention from the talking-heads of college basketball, and it’s time we give them their due here as well. Scott Sutton has had his squad in this position before, and it hasn’t panned out they way they hoped. This one looks different. Beware, Cinderella is on the loose. League Growing In Respectability: The Summit League is rising fast thanks to Nate Wolters and Alex Young turning NBA-heads, coupled with ORU’s nearly flawless play and strong seasons from the rest of the teams in the Summit. The conference is now ranked #12 in the Collegiate Basketball News RPI (rpiratings.com) and #15 in the Sagarin Ratings—that’s about six places higher than it was last season. 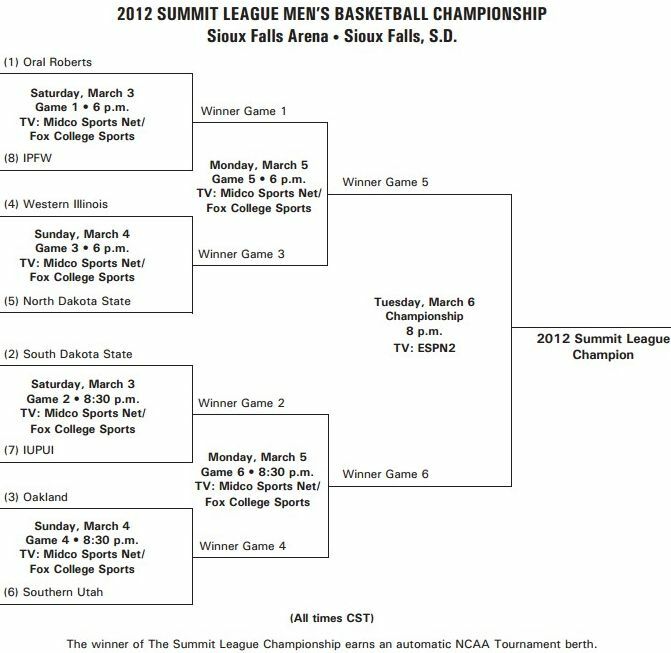 I expect the Summit League may take a big hit in the rankings next season when ORU departs, but for now, they are one of the top mid-major conferences in 2012. Ed. Note – This post was written in advance of Wednesday’s action. Oakland’s Reggie Hamilton was named as the Lou Henson Award national player of the week (the Award presented to the top Mid-Major Player in Division I college basketball) by CollegeInsider.com. This is very good publicity for the Summit League and Oakland. The Golden Grizzlies are trying to show once again that they are the best team in the conference, and Reggie Hamilton just might will them to another championship with the way he is performing. Alex Young is on the verge of 2,000 career points, and as the current active points leader in the NCAA, it is worth noting. This is a huge accomplishment for Young, who will join just 10 other players in conference history to reach 2,000 points. Young will likely finish in the top five all-time in Summit League history. John Hollinger of ESPN Insider debates who is the better point guard, Nate Wolters or Reggie Hamilton. We have a chance to find out very soon (see “Looking Ahead”). Records reflect only games against Division I opponents. Oakland (8-6, 2-0) — The only reason I still have Oakland at the top is because nothing has changed as far as conference standings go in the past two weeks. Because of the Holidays there have been very few games played by anyone, but the next two weeks could decide the conference altogether. Back-to-back blowout losses to Arizona and then Western Michigan had me worried. There are other teams like ORU and South Dakota State playing much better. But I could not move them down when Reggie Hamilton continues to dominate the NCAA (23.0 PPG, .423 FG%, .893 FT%), placing him third in the nation in scoring, right behind Creighton’s Doug McDermott, who may just be the next Jimmer, and is making his own case for Player of the Year. If Hamilton was in the Missouri Valley, he may be getting the same attention as well. Hamilton has Oakland ranked no. 24 in the country in overall offense and the Golden Grizzlies continue to prove they have lost little from the past two dominant seasons. Summit Continues To Rise: Last week, I thought the conference had reached its peak when it hit #14 in the RPI and Sagarin Conference rankings, but today the Summit sits at #12. Incredible, considering the Summit closed out last season ranked #21. This could mean something in March when the selection committee is deciding what seed the Summit champion will receive. So keep an eye on the rankings. Featured Scorers: The Summit League entered the week with more players in the nation’s top 25 in scoring than any other conference. IPFW’s Frank Gaines is ranked 9th, Oakland’s Reggie Hamilton 20th, South Dakota State’s Nate Wolters is 21st, and IUPUI’s Alex Young comes in at 23rd. Hamilton, Wolters and Young also rank in the top 10 for overall points. Climbing Up The Charts: The Summit League hit a new all-time high at #14 in the November 28 Sagarin conference Ratings. The league was 18th in the preseason, but has risen steadily in the past couple weeks. There is no doubt the conference has likely reached its apex in the eyes of the mainstream college basketball fans with Oakland, Oral Roberts, and North Dakota State playing so well. Unfortunately, this won’t last with Oral Roberts departing next season and being replaced by Nebraska-Omaha. Enjoy the respect while it lasts! Oakland Tops Tennessee…Again: The Volunteers fell to the Golden Grizzlies 89-81 on Monday for the second time in two seasons, and now it is clearly safe to say Greg Kampe and Company own the University of Tennessee. Will the Volunteers ever schedule Oakland again? The win marked just the third time in the 30-year Summit League history that a “power six” conference lost a game in back-to-back seasons to a Summit League team. Wow. Racking ‘Em Up: IUPUI’s Alex Young is currently leading the nation as the NCAA active points leader with 1,753 to start the week, and he will likely close out his career with over 2,000. Right now he is ranked 18th in conference history, and could close in on the top ten by the end of the season. The Golden Grizzlies Will Be The First To Tell You That Beating Tennessee Doesn't Qualify As An Upset. 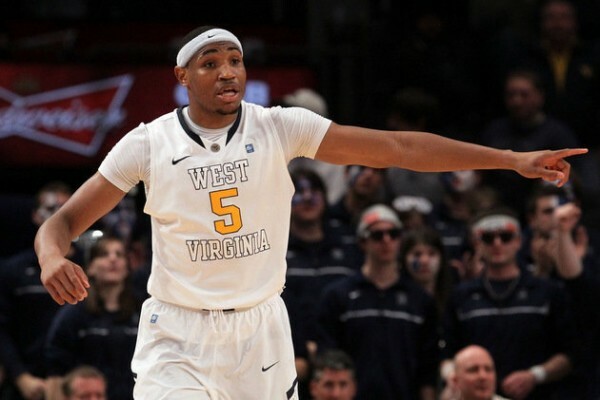 Oakland (4-2) – The Golden Grizzlies beat down Tennessee again, this time at home with Reggie Hamilton dropping 35, and he is among the leaders the conference in scoring with 20.7 points per game. Oakland has been much better than most expected, and they have ripped off four consecutive wins. The Tennessee win was huge for their confidence. They trust themselves, and they know they can get the job done without Keith Benson. Keeping this mentality will be crucial once the conference grind begins. Oral Roberts is a force, and they are hungry, but it has been a long time since Oakland lost to Oral Roberts, and they still hold a slight edge. 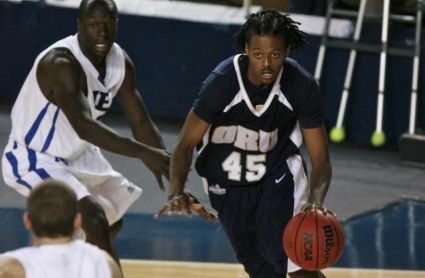 Oral Roberts (5-2)-The Golden Eagles had a huge 68-63 win against Missouri State at home on November 30. The way they won was impressive—pulling down offensive rebounds, hitting free-throws and playing tough defense. They are starting to get that Scott Sutton look. The Golden Eagles have so many weapons on offense, especially since Damen Bell-Holter is finally back although he is not quite 100 percent. There are four guys who can shoot beyond the arc, and at least that many who can bang around down low. This might be the most complete team in the Summit League, and we will find out if this is the case when they play Oklahoma next week. North Dakota State (5-0) — NDSU has a big-time streak going, they have a chance to really make a statement with games against Western Illinois and IUPUI coming up. I’m not buying the perfect start until I see how they show up in a battle with a conference foe. They are winning because they are shooting lights out. They rank 29th in the nation in field goal percentage which is mostly due to sophomore big-man Marshall Bjorklund, who is shooting 72% from the field and leading the team in scoring with 13.0 points per game. If they keep this up they will be 8-0 going into the December 10 showdown with Arizona State. South Dakota State (4-3)—The Jacks are still looking for that consistent second option to compliment Nate Wolters. Unlike their rivals in the North, South Dakota State is struggling mightily to shoot the ball, which is uncharacteristic of this team. Wolters himself may be struggling the most; he is shooting just 27% from three and 40% overall. A little help from his friends may take some of that pressure off his shoulders. They have the same upcoming schedule as North Dakota State, so we will get a chance to see where both of these teams stand in comparison early on in the season. Western Illinois (1-2) – Their 59-55 loss to #15 Michigan opened some eyes. The Leathernecks are a much more athletic than anticipated with freshman Obi Emegano emerging as a star. Ceola Clark seems to have hit his stride as well, and the duo has formed a dangerous one-two punch. Western has a lot of holes, but right now they have some confidence and are looking forward to a big matchup with North Dakota State. IPFW (0-2) – The ‘Dons haven’t picked up a Division I win yet, but they could get a nice head start in the conference standings when they face UMKC and South Dakota this week. Frank Gaines in playing out of his mind right now, averaging 23 points per game (7th in the nation), and the team is 41st in the nation with 75 points per game. They are one of the better scoring teams in the conference, and they have played some tough opponents— losing to #14 Xavier and Iowa. It is still early, and the ‘Dons have a strong overall game. Let’s see what they can do at the start of this conference schedule. UMKC (2-4)— Losing to Northwest Missouri State, barely escaping Nebraska-Omaha, and then Getting dismantled by #11 Wisconsin by 46 points was bad for the Kangaroos look. They have the worst scoring offense in the Summit League, and two big conference games against IPFW and Oakland loom. Reggie Chamberlain has been the lone bright spot for UMKC this season, averaging 17.1 points per game. It is always a hard transition when you lose two great seniors like UMKC did, but the Kangaroos will need to play with a lot more energy if they don’t want to end up at the bottom of this conference. Southern Utah (2-3) – They have looked rough to start the season. Despite shooting 48% from the field, they are scoring just 69 points per game. Their two wins against Division I schools have come against Bryant and UC Davis, and they have been close games at that. But other than the blowout loss to San Diego State, the Thunderbirds losses have been winnable games coming down to the final possession. Their height and rebounding ability has really become a problem and they sit 236th in the NCAA for total rebounds with 34 per game. They are about to face Oral Roberts, maybe the best in the Summit, then square off against Weber State, who may be the best in The Thunderbirds new conference. Thunderbird fans have little to be optimistic about in the coming weeks. IUPUI (1-5)- As bad as the bottom half of the Summit League has looked in the opening month, the Jags have looked so much worse. IUPUI is pulling down just 33.9 rebounds per game and scoring 68.3 points per game—despite having the most talented player in the conference in Alex Young. Even Young is struggling—averaging 17 points per game off 38% shooting. IUPUI hosts the Dakotas before traveling to Louisville to get hammered by the Cardinals. This could get worse. Much worse. I don’t see them contending for a conference championship this season. There are just too many teams in the Summit that are playing better than they are at this point in the year. South Dakota (0-3)—The Coyotes are still looking for their first Division I win, and they may be looking a little longer with Oakland and IPFW coming up next. They have the second-lowest scoring offense in the conference, but they have at least been competitive in their three losses. The wins will come for South Dakota, but they should view this season as a growth period as they transition into Division I. North Dakota State at IUPUI, December 3— North Dakota State will look to continue their undefeated streak against the struggling Jags. This is an important game for teams that are headed in opposite directions. IUPUI needs this win to get on track, while North Dakota State needs this to compete with Oakland and Oral Roberts down the stretch. 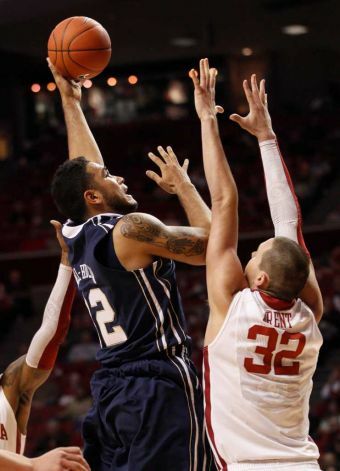 Oral Roberts at Oklahoma, December 8— This is an important matchup for Oral Roberts. They are still looking for their annual power conference upset, and this is the perfect game for them to do it. Oklahoma looked strong early in the season, but were dealt their first loss of the season by Saint Louis over the weekend. #15 Michigan at Oakland, December 15— Oakland got embarrassed last season by Michigan right after the Golden Grizzlies upset #7 Tennessee, will the tables be turned in this year’s rematch? Reggie Hamilton, Oakland (20.7 PPG, .891 FT%)—Trending: UP. The team is on a roll thanks to Hamilton’s back-to-back 35-point games. He is one of the leading scorers in the conference so far, and he is playing to prove to everyone that he doesn’t need Keith Benson on his team for them to shine. Dominique Morrison, Oral Roberts (17.6 PPG, 44% FG)—Trending: HOLD. When Oral Roberts needs a big basket they go to Morrison. It seems like he can drop 30 points at any time, but he is content to move the ball and create good offense for his teammates. Stephen Roundtree , Oral Roberts (13.7 PPG, 8.0 RPG)—Trending: UP. He exploded onto the scene last year leading all NCAA freshmen in scoring, and this season he has turned into a dominant presence inside for Oral Roberts. He has an array of low post moves, and his hustle and determination on the glass is what sets him apart. Nate Wolters, South Dakota State (20.4 PPG, 6.1 APG)—Trending: DOWN. Wolters has struggled to shoot the ball, and his team is in a funk. 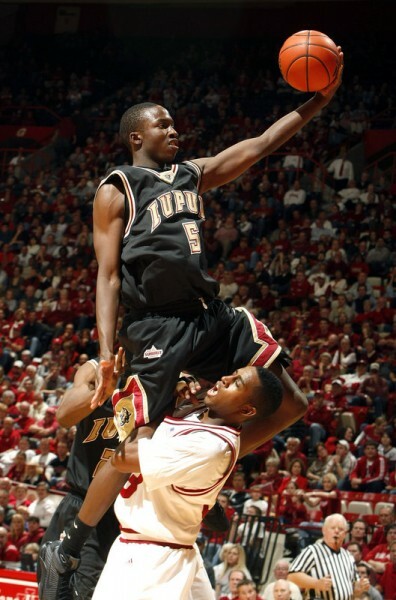 Alex Young, IUPUI (17.1 PPG, 6.6 RPG)—Trending: DOWN. Shooting just 38% from the field has hurt Young in the early going. His team is in shambles, and Young has his work cut out for him if he wants to bring his team back into contention. Frank Gaines, IPFW (23.0 PPG)— Trending: UP. Gaines leads the conference in scoring and he has put IPFW in position to contend for a conference title this season. Charlie Parks is the RTC correspondent for the Summit League. You can find him on Twitter at @CharlieParksRTC. Ed. Note — yesterday’s Summit League primer was actually a re-publish of the summer update. We apologize for the error. For the Summit League, having someone win Player of the Year may be the ticket to a title. 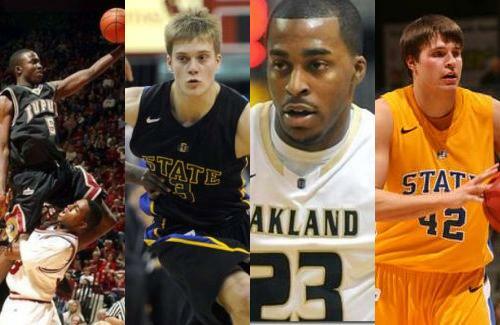 Five of the last seven conference champions have also been the home of the Summit League Player of the Year. Realignment Hits the Summit: Word got out recently that Oral Roberts was flirting with the Southland Conference. ORU bolting could be a devastating move for the Summit League, which would lose one of its few premier teams. The Summit would take a definite step back. As for ORU, the Southland Conference isn’t exactly an upgrade — in fact, it is probably a downgrade in RPI and level of competition — but the move just makes sense. The Southland offers more natural conference matchups with teams from Arkansas and Texas, and better local recruiting opportunities. Let’s face it; no one from Oklahoma wants to travel to North Dakota in January to play a conference game. Also, Pat Knight just took the head job at Lamar. 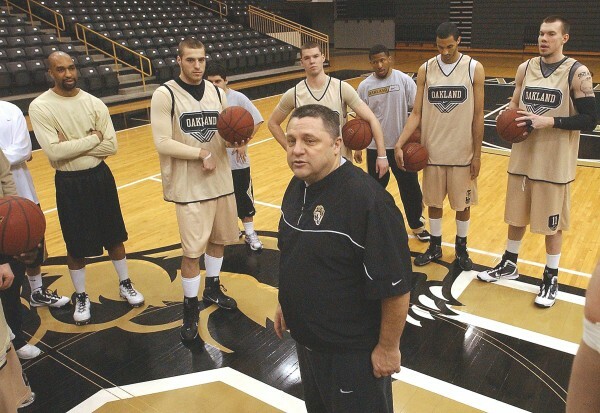 The Suttons and Knights have always been pretty close, and they have a long history together in college basketball. Scott Sutton versus Pat Knight would be a nice “new” rivalry. But unless the Southland pays the Summit League’s $250,000 buyout for Oral Roberts, this move couldn’t happen until 2014. Bears With Bugs: Has the injury bug found its way to the Golden Grizzlies? Reggie Hamilton and Drew Valentine underwent some recent surgeries; Hamilton shouldn’t miss any time, but what about Valentine? It was a minor knee operation, but knives, knees and basketball don’t go well together at all. Oakland fans should keep a close eye on the situation, but I see no reason for panic… yet.